Tribute to Steve Jobs – and Mothers of NextGen Out of The Box Thinkers! 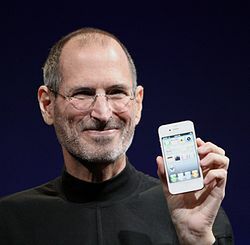 Today many in the tech world are remembering Steve Jobs, who passed away one year ago. GigaOM wrote a post with reasons to remember Steve Jobs while Mashable covered that “Remembering Steve Jobs’ Death Ignites Twitter Philanthropy”. “Jobs’s youth was riddled with frustrations over formal schooling. At Monta Loma Elementary school in Mountain View, he was a prankster whose fourth-grade teacher needed to bribe him to study. …Jobs then attended Cupertino Junior High and Homestead High School in Cupertino, California.At Homestead, Jobs became friends with Bill Fernandez, a neighbor who shared the same interests in electronics. Fernandez introduced Jobs to another, older computer whiz kid, Steve Wozniak (also known as “Woz”). In 1969 Woz started building a little computer board with Fernandez that they named “The Cream Soda Computer”, which they showed to Jobs; he seemed really interested. My tribute to Steve Jobs is to highlight him as a great example to show other parents that out of the box thinkers may not follow traditional educational paths, but they can still reach success in their own way. Parents can support the exceptional talent of their little out of the box thinkers by helping them find their educational path. And while that path may be very challenging for all involved – it is worth the journey. This is also to explain why I (and my dear husband) have been very busy lately. We are helping one of our children through their journey. Even though there are some days where the obstacles seem too big to overcome, I always think back to Steve Jobs. Which makes me smile and know we have our own little game changer in the works. Photo and lots of credit to Wikipedia for supplying the info.